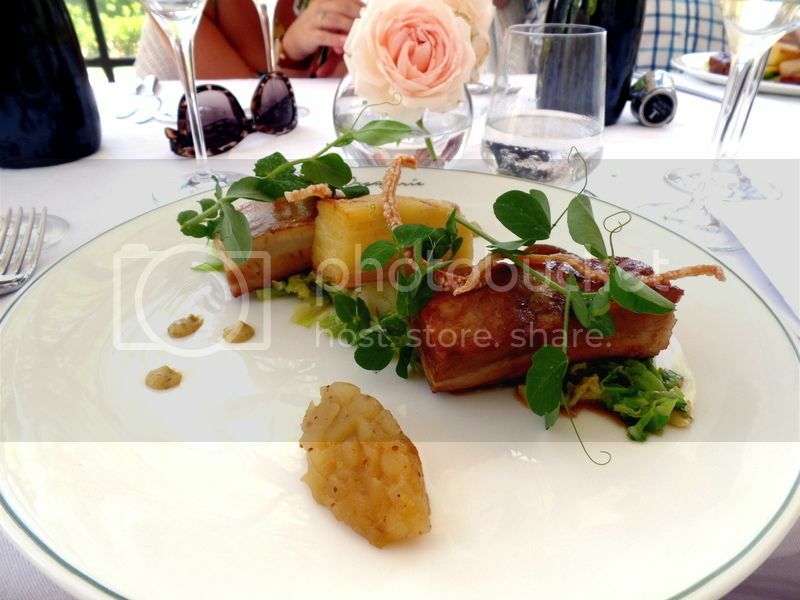 I first visited Le Lude on the Franschhoek MCC tour before they were even open. They didn’t have a tasting room or a restaurant. Now they have a beautiful tasting space, food tasting pairings and a gorgeous restaurant! Le Lude makes the most fantastic bubbles and they are on my list of favourite MCCs! Make sure to get your hands on a bottle! We had a lovely tasting before lunch of their Brut MCC and their Brut Rose MCC. As they only have two wines on offer they include a lovely French Champagne in the tasting which is a fantastic chance to contrast and compare our local MCCs! The menu is light and fresh and seasonal with some of their ingredients coming straight out of their vegetable garden! We had beautiful simple starters. 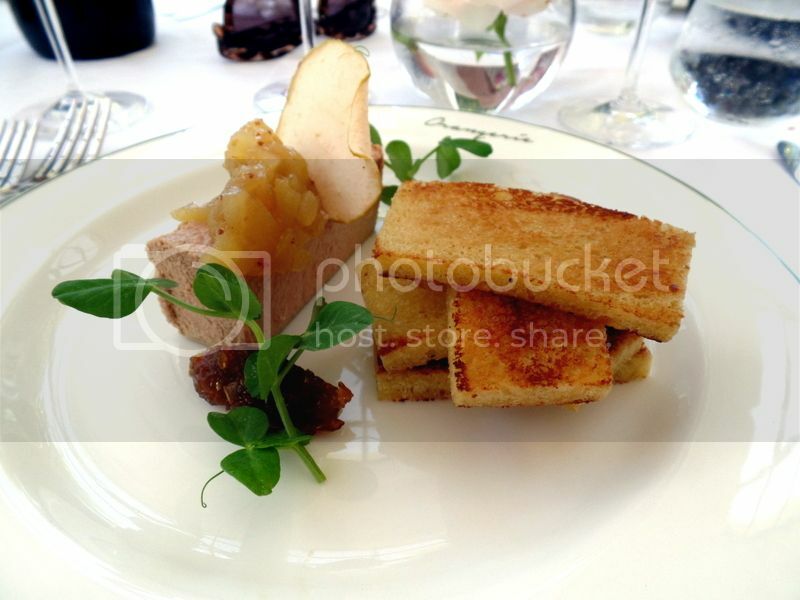 I had the duck liver parfait with apple chutney and toasted brioche. It was a really generous starter portion and I loved the smooth creamy duck liver parfait with the sweet brioche. This was a great starter and really hit the spot. The other winning starter was the sugar cured Franschhoek salmon trout with cucumber, spring onions, radishes and ponzu dressing. 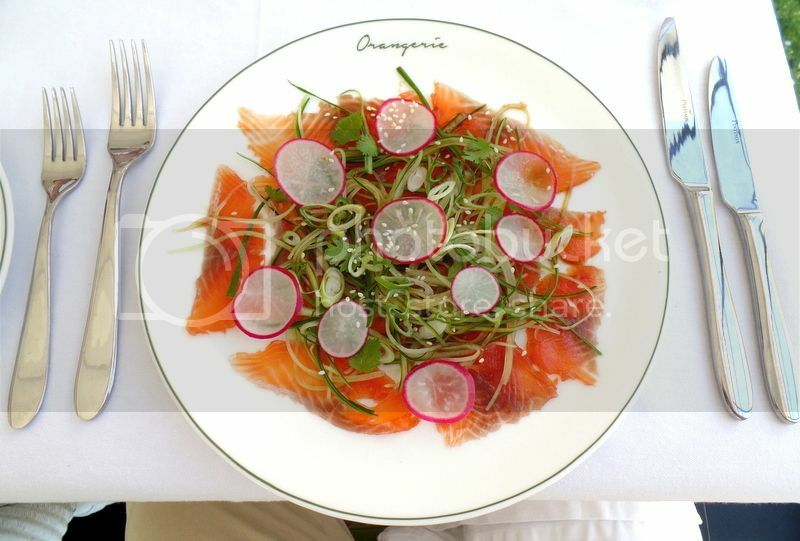 The salmon starter was so beautiful with fresh spring onions, slices of bright pink radish and sesame seeds. The dish was delicious and was perfect for the really hot summer day! I had the glazed pork belly with thyme and apple chutney, potato gratin and buttered cabbage as my main course. The pork belly has such wonderful flavour and was paired perfectly with the buttery cabbage. I really loved the potato gratin which was creamy and so more’ish! 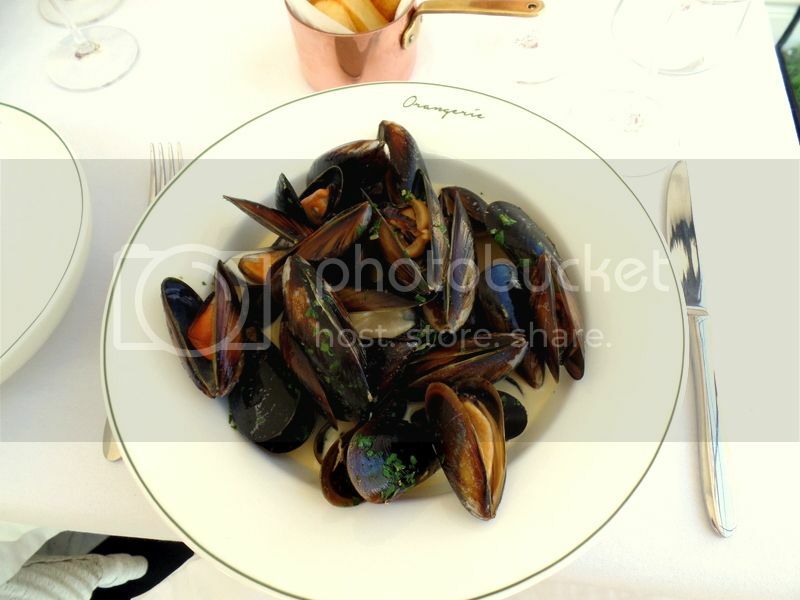 Fresh west coast mussels, steamed in Le Lude Brut finished with a gremolata creme. Our mussel order’er is on a mission to find the best mussels in Cape Town and these guys are hovering near the top of his list. The restaurant is so chic with the white finishings, black and white floors and colour accents from the potted plants and pink roses. However, one thing they need to look into is a better aircon system! We were there on a really hot summer day and the glass house front we sat in really cooks! By the time lunch was done we were actually looking forward to the aircon in our cars! 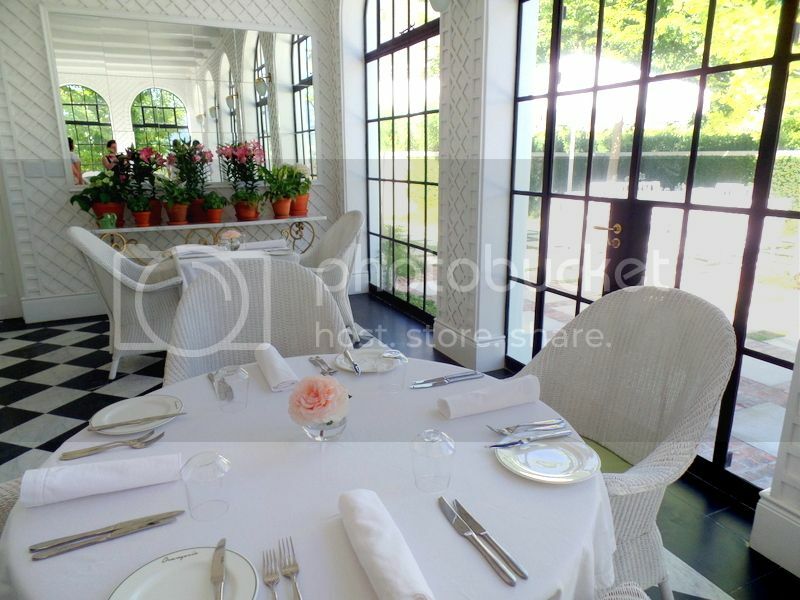 Le Lude and Orangerie are real gems! 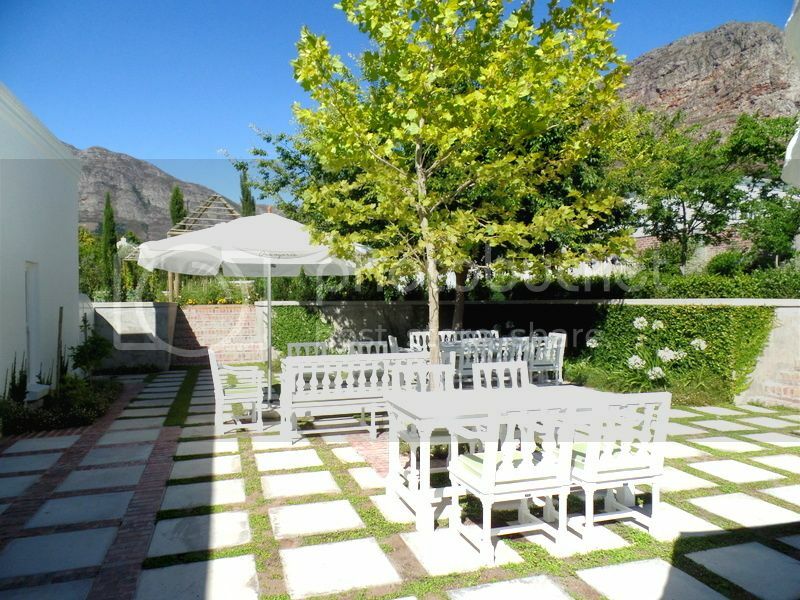 Make sure to give them a visit next time you head out on a Franschhoek adventure!